There are serious economic barriers to be overcome in the communities where we work, so food and livelihood security is integral to our ministry. To get to the root of many of these issues it is important to address issues of the heart, so there is a strong spiritual component to our development efforts. We see our role at Kindle as empowering people to make better lives for themselves and their entire community. 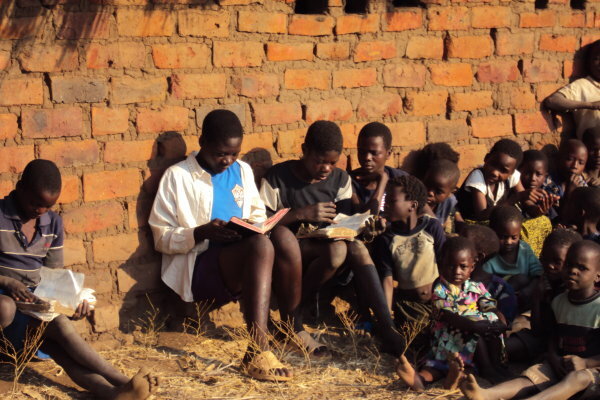 Kindle’s Youth Group ministry currently operates in 26 villages. At first, local church leaders were opposed to the youth groups, fearing that the children would be pulled away from their home churches to start attending new “Kindle” churches. What they have found, however, is that as the children became involved in these youth groups, they also became more involved in their home churches. Today, these youth are spending their free time singing in church choirs and attending church functions. It has even reached the point that many of them have started to go to “coming of age” retreats taught by church deacons and deaconesses, where they can learn to become men and women of God, instead of going to local traditional religion ceremonies where they are taught about manhood and womanhood in ways that typically involve sexual abuse. The youth group meetings incorporate sports and games, giving the children a chance to be a kid again—not to have to worry about food, shelter or water, but a chance to run around with friends trying to score the next goal. They provide respite for children in difficult circumstances. Family structures in this community are not very strong, and although there are a few men involved, it is the women who have become the driving force of this ministry. In several villages, Kindle staff and volunteers meet with women each week for Bible teaching and discussion on a wide variety of social issues that are part of their daily lives- nurturing children, agriculture, witchcraft, dealing with or living with HIV/AIDS, and much more. Choirs and dramas are a great avenue for getting the message across. While it is difficult to measure spiritual growth in tangible ways, we are in many ways seeing people’s lives transformed. In many of these groups, people are seeing needs in the villages and finding ways to meet those needs. 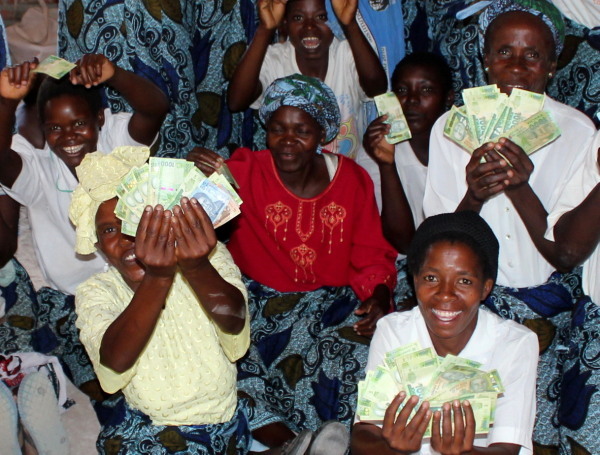 Village Savings and Loans have been started in several family life groups as a way of empowering these groups economically. Some also asked for training in adult literacy and groups in five villages are now teaching their neighbors to read. Others have started community-based childcare centres. 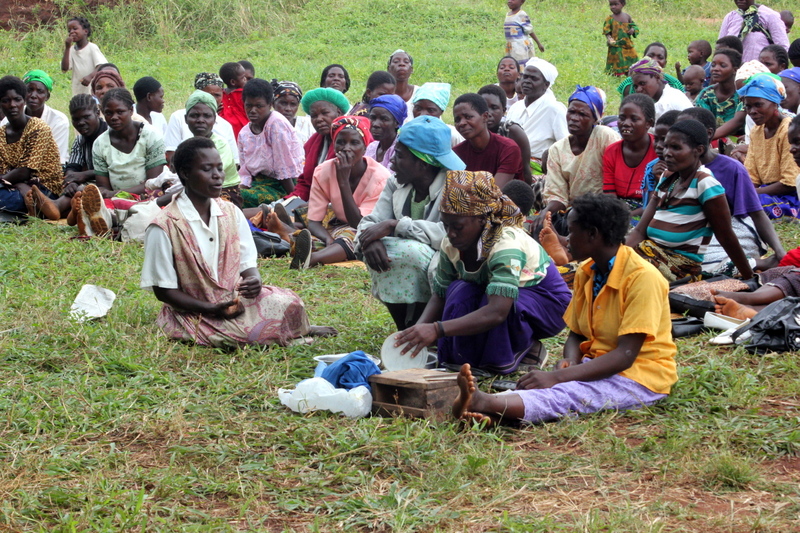 Concern for the environment has also led one of the groups to organize a tree planting day, and in some groups women are learning practical skills such as hand-sewing and using sewing machines. In years past, just before the rainy season we would start to receive requests from members of family life groups. Everybody wanted a loan for fertilizer, and then a few months later another loan for pesticides. But all of those requests stopped just a few months after we introduced Village Savings & Loans (VSL’s) to the family life groups. A VSL is basically a system to manage revolving loans within a tight-knit community. Each week the group meets and all of the members contribute to a “pool.” Then they go around the group requesting loans until the money in the pool is gone, and the money is paid back with interest the following month. This gives people capital to invest in small-scale business throughout the year. At the end of the year, all of the interest is divided up among the group members. The group shown in this photo managed to save the equivalent of nearly $100 each over the course of one year. Not bad in a country where most of the population lives on less than $1 per day! We have a special place in our hearts for families that are overloaded with orphans. 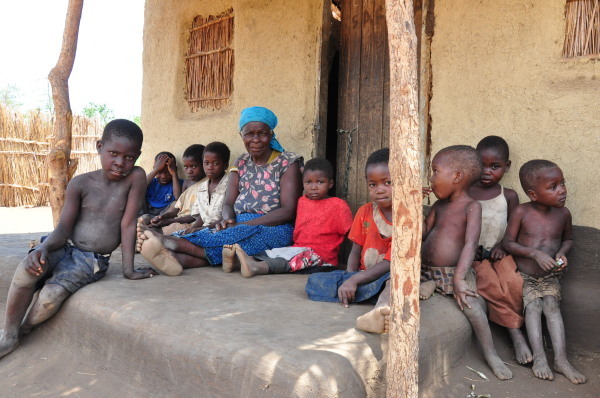 Some of these families are “orphan-headed households” families where both parents have died and the older siblings are looking after the younger. Others are homes where the parents have died and the children are cared for by aging grandparents. For families in these extreme situations, we have developed a program called “Kolezani”, which in the local language means “kindle a fire.” It is based on the vision of fanning into flame the little bit we have to make it burn brightly! For each of these families an individualized five-year plan is created, usually involving farm inputs and training that will help the family to be able to better care for itself. Most families receive fertilizer, seeds, and livestock at various times in the five years, with a gradual weaning from Kindle support as they save money to purchase items for themselves. Bitiana Billy, widow and mother of 6 children, is the head of one of our Kolezani families. Losing her husband forced her to spend much of her time doing odd jobs for food. But now her story is different, thanks to support provided through Kindle. After two years as a “Kolezani family,” they were growing enough food to feed the family. In their fourth year they stored 1000 kg of maize at our food bank for the family and also to use to pay others to work in their fields. 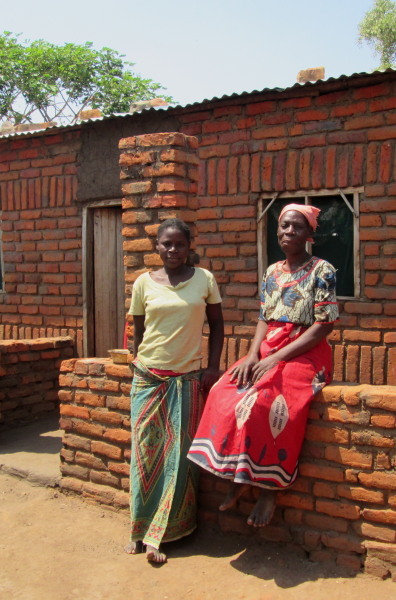 By the fifth year, Bitiana earned enough by selling cotton to pay school fees for her children, buy seed and fertilizer, and build the village’s first brick-walled house with an iron sheet roof. The Kolezani Program has great potential for making an impact on the community, one family at a time. 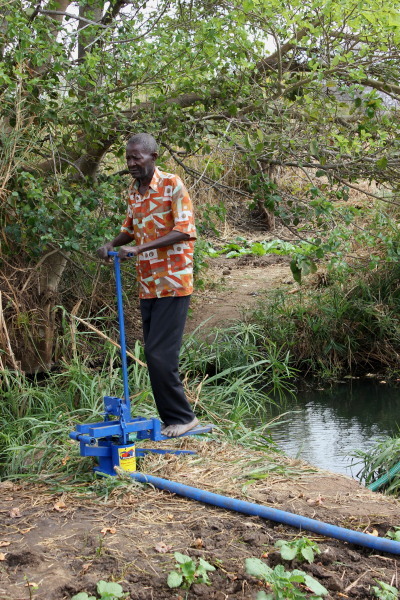 In the last two years, Kindle has helped to start 13 treadle pump irrigation clubs. A small investment of capital, only about $100, is enough to start one of these clubs that will benefit approximately 10 families. Club members to harvest crops two or possibly three times per year, instead of once per year during the rainy season. Our food security coordinator has worked hard at finding people who are able to work together, trust each other, avoid jealousy, and try new ways of thinking about and using the resources available to them. 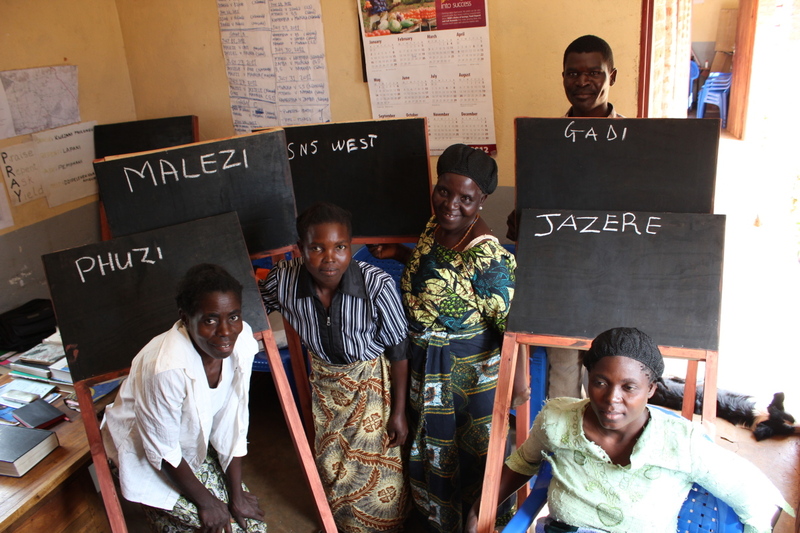 When they identify such a group, they encourage them to start a club together and Kindle helps to provide starting funds for a treadle pump, seeds, and fertilizer. It is delightful to see the people in the community working together to solve problems and do something that is of mutual benefit. Especially in these past two years when the rains have been poor, people are able to work during the dry season, harvesting enough to provide for their family during the “hungry season” that normally comes in the months before the normal harvest. In 2014 there was a field trip to a farming cooperative in a neighboring district, and the leaders of the treadle pump irrigation clubs are now excited about forming their own cooperative. They hope to coordinate efforts to grow crops that are in high demand and maximize the amount of their harvest that gets to market. Kindle also supports three larger irrigation projects, where we have drilled deep boreholes and installed a solar pump, and the community provides the field and helps to build a pump house and irrigation tank. These irrigation facilities are much more expensive than treadle pumps, but can benefit communities that are far away from a river or dam. 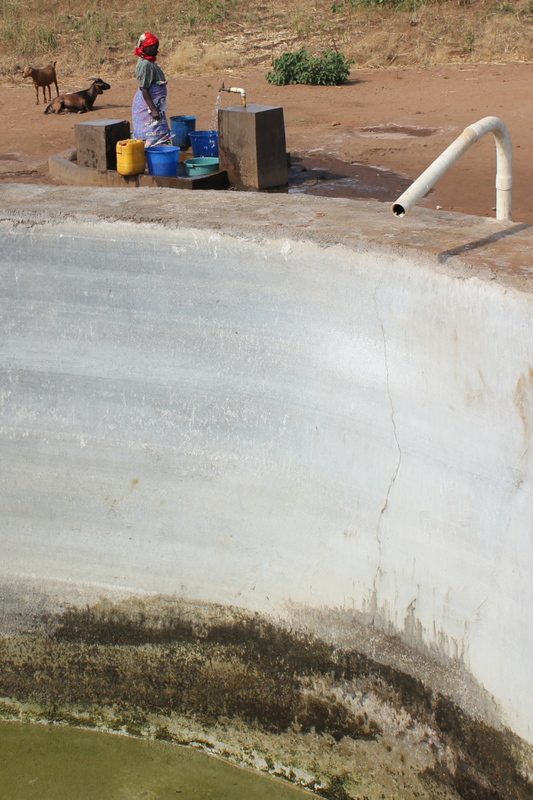 They also provide a clean water source to the village. While we continue to support the solar irrigation clubs that are already in existence, we are not seeking to start any more of these clubs because of the high cost to purchase and maintain the solar equipment. 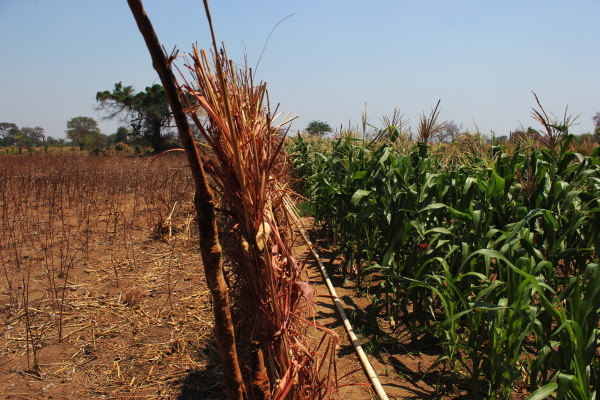 Although most farmers don’t do the calculations, it is often cheaper to buy maize during the harvest season (about $0.15 per kg) than it is to buy seeds and fertilizer, unless you are among the fortunate few who receive government-subsidized fertilizer. 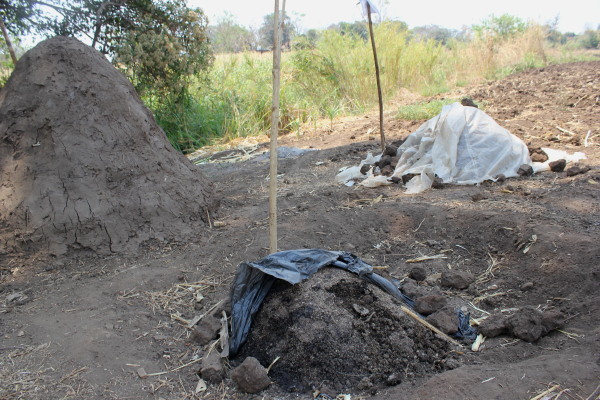 Composting changes this, making farming profitable for a subsistence farmer. Yohane, Kindle’s food security coordinator, has taught dozens of families how to combine a small amount of commercial fertilizer with items that are normally discarded, like goat droppings and the shells of maize seeds, to create compost that is just as effective as straight fertilizer. We sat with Sankhulani, one man who tried composting, to evaluate the return on investment. 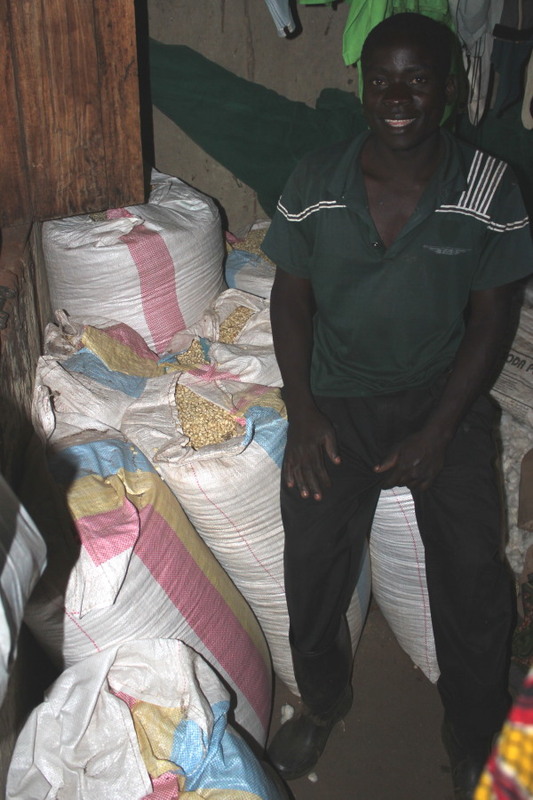 Sankulani would normally have used two bags of fertilizer, about $85 worth, on his field but instead he spent $13 and harvested about 600 kg of maize (worth about $95). So by using composting, his profit went from $10 to $82! We provide many types of support to local churches, and especially to church leaders. Most people don’t have access to Bibles, so we have started to sell Bibles with no mark-up, allowing people access to the Word of God at low cost. We also allow interdenominational groups to use the meeting hall in Tiwale Centre at no cost, allowing pastors and church leaders to come together to pray and encourage one another. We also hold workshops and seminars for church and community leaders. In a land full of spiritual warfare and traditions that are far from healthy, we need leadership and stability through God’s Word.